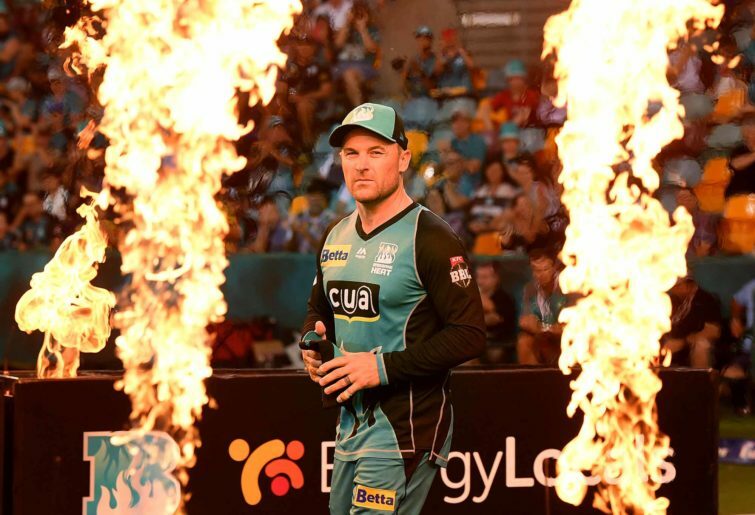 It has been the talking point of the tournament: the Big Bash has lost some of its lustre in its first season under new broadcast ownership. Whether it’s the move to the full home-and-away slate, the frequent examples of bog average play, or the length of the tournament, the tournament itself has taken something of a back seat to complaints about the tournament. It’s a shame really, because the past week gave us some pretty compelling cricket, all played with as great a consequence as this tournament can give us. From Thursday night to Sunday afternoon, all but one game mattered for the shape of the finals series, and there were plenty of twists and turns. The Melbourne Renegades lost their final game of the season, but somehow ended up jumping the Sydney Sixers and will host them in the second semi-final. Brisbane kept their feint finals hopes alive on the back of an utterly bonkers display of hitting from Max Bryant and Ben Cutting; 158 from ten overs even is no joke. Adelaide and Perth played a compelling and high scoring game that went down to the last over. 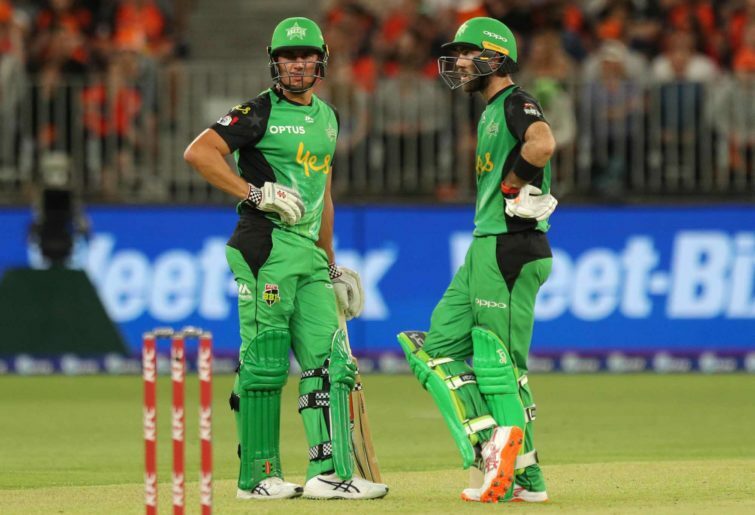 The Sydney Thunder got a win over the Hurricanes, but it didn’t come fast enough to put them over the Heat ahead of the Stars having their chance to leap into the four. It ultimately didn’t matter because the green Melbourne side took care of business in beating the Sixers, condemning them to an away semi-final while also booking their own spot. And didn’t Glenn Maxwell put on a show for us? His was one of the best innings of the summer: a beautifully crafted 82 from 43 balls where he hit gaps with utmost ease. The end of that game was met with howls of derision on social media. “What, the tournament is over already?” There’s no doubt BBL08 ran too long, doubly so given there were a few reasonable gaps in play throughout. But that’s not the most important fix Cricket Australia should apply ahead of next year’s tournament. Before we get to the final rankings, here’s an impromptu ranking of four things Cricket Australia should do to fix the Big Bash. Chris Gayle, Alex Hales, AB de Villiers, Sunil Narine, Kieron Pollard, Andre Russell, Tamim Iqbal, Shahid Afridi, Thisara Perera. These players chose to play in the Bangladesh Premier League over the Big Bash League. 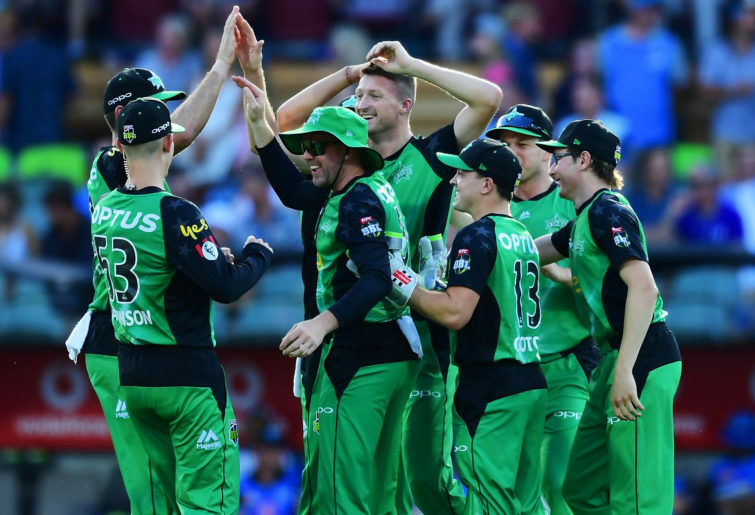 Gayle aside, Cricket Australia should feel embarrassed, particularly with regular proclamations that it wants – and thinks – the BBL to be the second best T20 league in the world. That’s not to besmirch the internationals who did sign up to play in Australia this summer. From Rashid Khan to Tom Curran, Jos Buttler to Jofra Archer, our league has had a decent lot of international talent. However, it simply doesn’t compare to the quantity and quality which chose to play cricket somewhere else. Cricket Australia cannot sit pat and hope there is no schedule conflict next year. It must take action to attract some additional marquee international talent to the competition in 2020. It can do this by increasing the number of players a team can host at any one time from two to three – which would also go some way to addressing the quality of play by crowding out some grade cricketers who really shouldn’t be asked to mix it with the pros – and getting the broadcasters to pay for it. They can do that with a bit of extra cash, but also by media exposure and other commercial opportunities. The Big Bash is supposed to be Australian cricket’s marquee money-spinner, not a developmental league. And you know what they say: you’ve got to spend money to make money. The broadcasters should be asked to tip in just a little extra, with a view to improving the number of eyeballs on screens. Part of the Big Bash’s charm in the early years was that it was on every night. I suspect that is a winning formula when there is a relatively scarce supply of games; when there’s 56, every night suddenly feels like a bit of work. But equally, the competition ran too long. And Cricket Australia have already said there is no going back from the home-and-away slate of short-form cricket – the broadcast deal demands it be so. So, what can we do? Every weekend should have six games played: one Thursday, one or two on Friday, two on Saturday, and one or two on Sunday. And those slots should be made regular: everyone knows a game will be on at 7:40PM EST on every Thursday during the tournament. Each team will be faced with three or four instances of having to play two games in three days (let’s be real for a moment: these guys are playing T20 cricket not running a marathon, and the women have been playing these sorts of fixtures forever). Then, there should be a core period of the summer where the game-a-night trope is a thing. You could run it from say Boxing Day to the week after New Years, a fortnight banquet of cricket wrapped around the Boxing Day and New Years Test matches. Cram 30 games into 19-20 days. If we can get over this aversion to sport on Christmas Day that would make the task more straightforward. Around that could be four weekends of six games, and bam, we’ve knocked close to two weeks off the schedule without losing any games. Make it happen Cricket Australia. For the love of all that is holy, bring in the Decision Review System. Poor quality umpiring has cost teams games this season. There’s little hope of the standard of umpiring improving, given there seems to be a cast of about six umpires stewarding the competition. It can’t be allowed to go on. When DRS became common at the international level, Cricket Australia resisted calls to bring it in domestically so as not to affect the flow and enjoyment of the game. You know what affects the enjoyment of a game? Watching awful umpiring decisions that are obviously wrong go unchallenged. Cricket Australia can no longer hide behind the flow of the game argument after half a dozen catches and close run outs were reviewed by umpires for far longer than a typical DRS sequence. Bring in DRS. It’s time. T20 is already set up to be compelling, but these subtle tweaks would help enhance the contest. Limiting bowlers to four overs each has always seemed too few to me; I’d get rid of bowling limits all together if I were in charge. But lifting the restriction by one seems a sensible compromise, which would allow teams to pick one extra batsman or maintain a diversity in their bowling attack. Reducing the number of outfielders is simply a play to stop the dominant strategy of taking the pace off the ball and bowling into a batsman’s legs from overs seven to 12 or so every inning. Now that I’ve told you that you won’t be able to not see it play out that way when you watch. Adding a tactical element to the power play would add an extra layer of intrigue to proceedings, and allow the batting team some flex with regards to targeting specific bowlers or batsmen. I have no idea if any of these things are worthwhile pursuing let alone legal. But I feel the competition’s tactics need a bit of a shake up. Let’s quickly rank the final four. 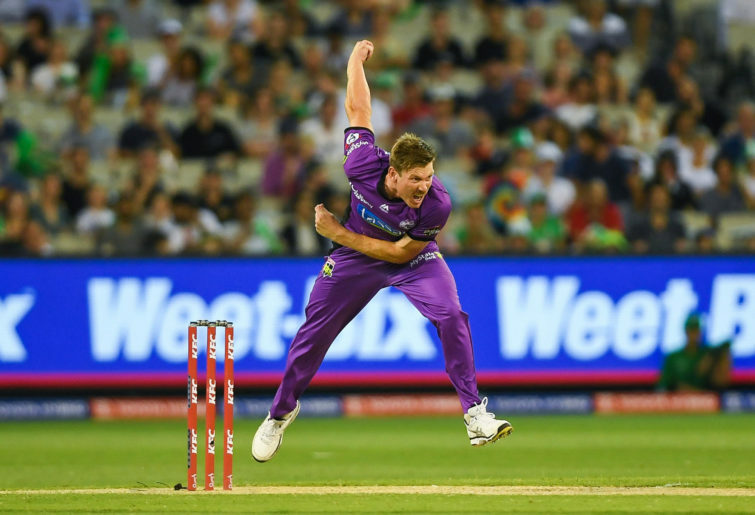 The presumptive favourite since around the second week of the competition, Hobart should win against the Stars on Thursday and will not fear either the Sydney Sixers or Melbourne Renegades in Hobart. Funnily enough, the slow and low Docklands will suit Sydney’s style just nicely, particularly given Nathan Lyon and Steven O’Keefe will be bowling eight overs of tight off spin. Unfortunately for the Sixers their best bowler (and one of their best three batsman) Tom Curran is off to save England in the West Indies and so will miss the finals series. If no one steps up in his absence that’ll hurt Sydney’s chances. The Renegades have been hit by international duties too, with Mohammad Nabi being called back by the Afghanistan Cricket Board earlier than expected. The ‘Gades are the most difficult-to-predict team of the four remaining, and will rely on their batting to get the job done against Sydney. 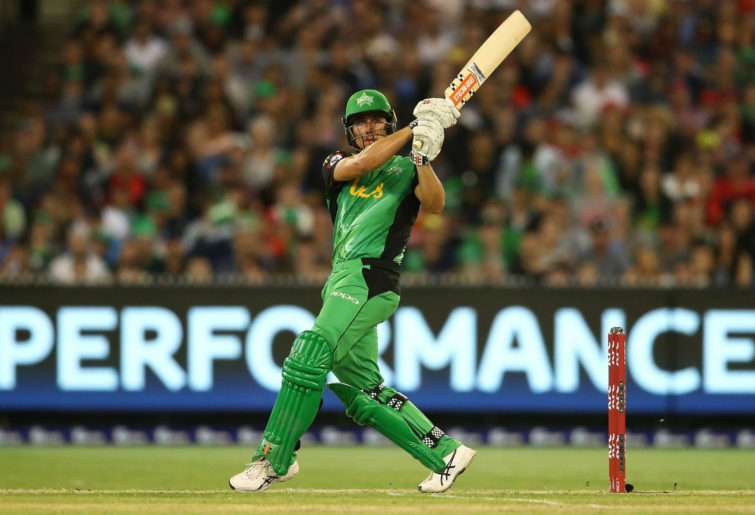 Bringing up the rear are the Melbourne Stars, and that’s only because they face the ladder-leading Hurricanes in their semi-final. On a neutral field I’d back the Stars to beat the Renegades, such has been the improvement in the team’s batting over the back end of the tournament. Enjoy finals week, and we’ll chat Big Bash again next year.